We’re calling this month’s Reading Plan, “30 Days with Jesus” as we spend time in all 4 of the gospels. Join us as we look at the sacred scriptures and consider the 5 Discipleship Outcomes of Summit. Join us as we read through the book of Joshua during the month of February! “Wisdom is the art of living skillfully in whatever actual conditions we find ourselves in. Wisdom has to do with becoming skillful in honoring our parents and raising our children, handling our money and conducting our sexual lives, going to work, and exercising leadership using words well and treating friends kindly, eating and drinking healthily, cultivating emotions within ourselves and attitudes toward others that make for peace. Threaded through all these items is the insistence that the way we think of and respond to God is the most practical thing we do. Join us as we begin the year considering how God would have us live our lives here on earth with practical wisdom and attentiveness to his ways. Join us as we spend the month of December, the season of Advent, reflecting on the coming of Christ and what it means that we can have Peace on Earth. Join us as we spend the month of November in gratitude to God for who He is and what He has done! This month's plan takes us through the book of Hebrews as we’re studying it in our “Jesus is Better” series. We’ll also spend some time in the song book of Scripture, the Psalms. Then we’ll finish up in the book of James as we consider what it means to be a people whose faith drives us to kingdom action! 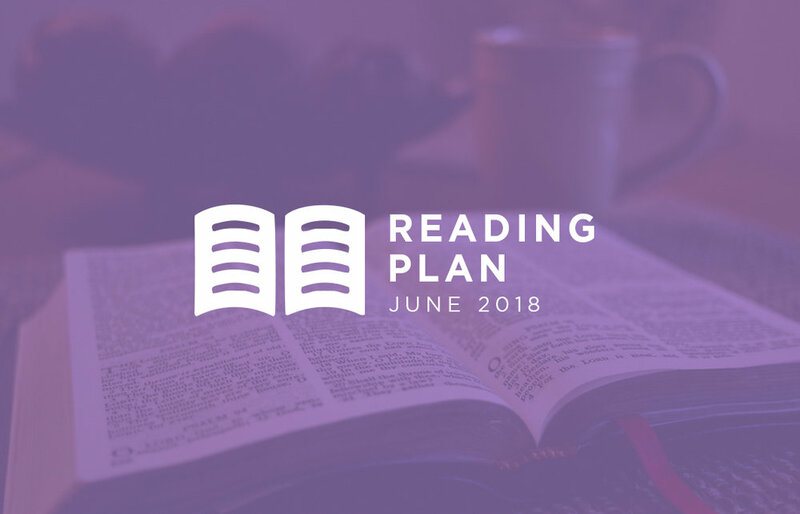 This month's plan takes a look at part of the larger narrative arc of scripture, beginning with the Exodus of the Israelites from Egypt and moving through parts of the Old Testament and on into the arrival of the Messiah and the establishment of the Church. Join us this month as we read through Colossians and through the story of Joseph. We'll finish out by reading Paul's first letter to the church in Corinth. Join us this month as we read through the latter parts of the New Testament including James and 1 Peter. Join us this month as we read through some of Paul's epistles. Join us this month as we read through the gospels, following Jesus' journey to the cross, and his glorious resurrection. Our teaching series, Loyalty, has been taking a look at the book of Daniel. So to kick off February we'll read through Daniel together, then we'll move into Wisdom Literature during the second half of the month as we study part of the book of Proverbs. This month we're taking a deeper dive into the 5 outcomes of Summit Church and scriptures from which these arise. Read along with us. During the month of September we're going to we're going to read through the gospel of Matthew together and then finish up the month in the Psalms and Proverbs.